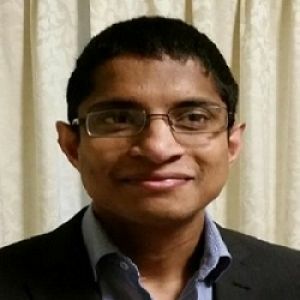 Dr Amirthan (Amu) Vinay is a Respiratory and Sleep Disorders Physician with clinical interests including general respiratory, advanced COPD and sleep medicine. Dr Vinay completed his basic physician training at Alfred Health. His advanced training in Respiratory and Sleep Medicine was undertaken at Peninsula Health in Frankston, St.Vincent’s Hospital in Fitzroy and the Austin Hospital in Heidelberg. Dr Vinay has also completed a year of advanced training in internal medicine at the Alfred Hospital. He is a Fellow of the Australian college of Physicians. Dr Vinay sees patients with all sleep and respiratory conditions with an interest in Obstructive Sleep Apnoea and COPD.